Toward Human Level Machine Intelligence—Is it Achievable? 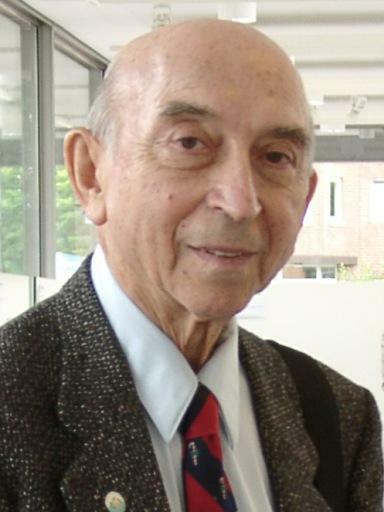 We are delighted to announce that one of the main keynote speeches for DeSE ’09 Conference will be delivered by Professor Lotfi A. Zadeh, the father of Fuzzy Logic, via video link. Achievement of human level machine intelligence has long been one of the principal objectives of AI. Progress toward achievement of human level machine intelligence has been and continues to be very slow Why? Modern society is becoming increasingly infocentric. The Internet, Google and other vestiges of the information age are visible to all. But human level machine intelligence is not yet a reality. Why? Officially, AI was born in 1956. Initially, there were many unrealistic expectations. It was widely believed that achievement of human level machine intelligence was only a few years away. An article which appeared in the popular press was headlined “Electric Brain Capable of Translating Foreign Languages is Being Built.” Today, we have automatic translation software but nothing that comes close to the quality of human translation. It should be noted that, today, there are prominent members of the AI community who predict that human level machine intelligence will be achieved in the not distant future. “I’ve made the case that we will have both the hardware and the software to achieve human level artificial intelligence with the broad suppleness of human intelligence including our emotional intelligence by 2029.” (Kurzweil 2008). Humans have many remarkable capabilities. Among them there are two that stand out in importance. First, the capability to converse, reason and make rational decisions in an environment of imprecision, uncertainty, incompleteness of information and partiality of truth. And second, the capability to perform a wide variety of physical and mental tasks—such as driving a car in city traffic—without any measurements and any computations. Underlying these capabilities is the human brain’s capability to process and reason with perception-based information. It should be noted that a natural language is basically a system for describing perceptions. The world has become a place where socialising is often just as likely to occur online as it is in person. Social networking sites – Twitter, Bebo, Facebook, MySpace – are redefining the way we interact. These changes extend beyond social interactions, with networks becoming integrated into every aspect of our lives. The Future Internet, developing into the Internet of Things, will see all devices connected together to form an omnipresent net of communication and connectedness. A world in which people and devices can remain connected at all times and places, and yet where social interactions are becoming increasingly physically distant, presents new challenges for society. By extension it also presents deep and challenging questions about how we can deliver services in ways that unite people even though they are physically remote. For example, we have moved on from a time when students were expected to sit reading physical books in a library, disconnected from reality. Education can be delivered remotely, seamlessly and continuously. How then do we deliver such services to harness the benefits of new networking technologies while at the same time fulfilling expectations? In this talk, I will explore the technologies that make the interconnected world possible, and how we can harness them to improve the experiences of the individual, be they students, healthcare practitioners, businesspeople or others. We will consider not just the current technologies, but also those we can expect to see in the future. The development of eSystems will play a critical role in this development, bringing together technologies that involve social networking, peer-to-peer networking, virtual worlds and life memory systems to allow the sharing of experiences as well as facts. In addition to an overview of these exciting developments, I will talk about our own research work in these areas, consider how the connected world has impacted on society and explain how we can capitalise on it in the future. Madjid Merabti is Professor of Networked Systems and Director of the School of Computing & Mathematical Sciences, at Liverpool John Moores University, UK. He is a graduate of Lancaster University in the UK. He has over 20 years experience in conducting research and teaching in the areas of Computer Networks (fixed and wireless), Mobile Computing, and Computer Network Security. Prof. Merabti is widely published in these areas and leads the Distributed Multimedia Systems and Security Research Group, which has a number of UK Government, EU, and industry supported research projects. He is principal investigator in a number of current projects in Digital Rights Management, Games Technology, Multimedia Networking, Mobile Networks Security and Privacy Architectures and Protocols, Secure Component Composition in Ubiquitous Personal Networks, Networked Appliances, Mobile and Ad-Hoc Computing Environments, and Sensor Networks. He is Associate Editor for IEEE Transactions on Multimedia, Area Editor for IEEE Communications Magazine series on Networked Appliances and Home Networking, Co-Editor in-Chief for the International Journal of Pervasive Computing and Communications (JPCC), Member of Editorial Boards for Springer Peer-to-Peer Networking and Applications Journal, Elsevier Journal on Computer Communications, and Wiley’s Communications and Security Journal. Madjid is Guest Editor for Springer Signal Processing special issue on “Advance in Peer-t-Peer Contents Management,” 2009. He was Guest Editor for the Special issue on “Research Developments in Consumer Communications and Networking”, Multimedia Tools and Applications: An International Journal, Kluwer, September 2005. Madjid Merabti serves on the steering committee for the IEEE Consumer Communications and Networking (CCNC) series of conferences. He is Technical Programme Chair for: IEEE ICC Symposium on Special Areas of Communications, Germany 2009, and IASTED – EuroIMSA 2009 European Conference on Internet and Multimedia Systems and Applications. He is a member of a number of international conference programme committees on networking, security, networked appliances, digital rights management, and computer entertainment. It is widely accepted that IT is becoming a key element of any organisational infrastructure. Indeed, many like to think that the level of an organisations’ reliance on IT in the 21st century is similar to the reliance on electricity in the previous century where it is not expected for an organisation to function without electricity. However, there is ample evidence that Information Systems (IS)/IT have failed to bring about a competitive advantage to organisations in spite of the large investments over the past decade. Previous studies in the area of “IS/IT failure” have shown that 80 – 90% of IT investments did not meet their performance objectives. This dissolution in the strategic benefits of IS/IT is currently forcing many organisations not to invest in IT for any competitive advantage but for the reasons of bringing efficiency and effectiveness to business processes. This “Technology push” alone, even though to some extent is still dominating in many industries like construction and engineering, will not harness the full business potential of IS/IT and thus unable to lead to competitive advantage. It is the innovation in process improvement and management, along with IT as an enabler, that is the only mechanism to ensure sustainable competitive advantage. This requires an organisation to be in a state of readiness which will give it the capability to positively absorb IS/IT enabled innovation and business improvement into its work practices. The competencies that an organisation needs to develop in order to acquire the capability to strategically benefit from IS/IT, prior to IS/IT investment, falls under four main elements; people, process, work environment and IT infrastructure. The first two elements are the key to change and improvement while the other two elements are enablers without which the first two elements can not be sustained. The “acceptable” level of IS/IT, that can be successfully utilised in an organisation i.e. ensuring its business benefits are realised, therefore depends on assessing a range of critical issues needed to ensure a balance between the organisation’s readiness (mainly factors required to adapt to the proposed change) against the level and complexity of the proposed IT (which often hinders or limit success). This balance often includes many issues such as: capital expenditure, resource availability, organisation’s maturity and readiness, culture and vision, and available IS/IT skills. This paper highlights that organisations need to rethink their processes, structure and work environment in the light of the advances in IT in order to harness the value of technology in achieving sustainable competitive advantage. The need for “forward looking” management tools to measure the current capabilities of organisations in the relevant areas and to predict the required level of organisational change becomes critical. This is an area which is highly under-researched and needs focused efforts to develop tools, guidelines and methodologies in order to help organisations to effectively transform their work environment into dynamic ones where IT-based innovations underpin business improvement and sustainable competitive advantage. Forecasting the stock market is one of the most challenging applications. Even though the stock time series most often behaves in a random-walk-like manner, it frequently exhibits trends, overreactions, underreactions, deviations from fair value, and other aspects that can be exploited profitably. In this talk I will present a short introduction into the various issues involved in predicting stocks and designing trading systems. The starting point is to have a statistical model that predicts stock movements well. I will review some of the machine learning models for stock prediction. Prediction is only a small part of the whole problem. Many other issues have to be taken into account when building a successful system. I will review some of these issues, in particular I will consider: types of trading systems, inputs/indicators, fundamental/technical indicators, design considerations such as overfitting and data snooping, transactions costs, and performance measures. Amir Atiya: Received his B.S. degree in from Cairo University, Egypt, and the M.S. and Ph.D. degrees from Caltech, Pasadena, CA, all in electrical engineering. Dr. Atiya is currently a Professor at the Department of Computer Engineering, Cairo University. He recently held several visiting appointments, such as in Caltech and in Chonbuk National University, S. Korea. He is currently a Senior Scientist at Veros Systems, on a temporary leave from Cairo University. His research interests are in the areas of neural networks, machine learning, theory of forecasting, pattern recognition, computational finance, and Monte Carlo methods. He obtained several awards, such as the Kuwait Prize in 2005, the Young Investigator Award from the International Neural Network Society (INNS) in 1996 and the Egyptian State Award for Research in Science and Engineering in 1994. He was an associate editor for the IEEE Transactions on Neural Networks for 11 years (1998-2008), and was guest editor for several journal special issues. He has many publications, and some of his research was selected to be included in Matlab’s toolbox..